Over 35 years of teaching experience. 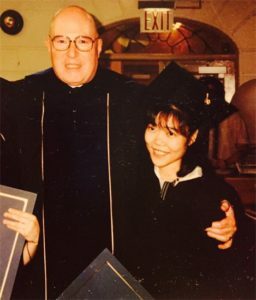 Yoshie Kubota has been teaching private piano lessons since 1984 and she also has taught for group piano lessons for Pace Kinder music and Eurythmics class in NY and NJ. She also have served as judge for several Piano grading event, festival and competiton. Yoshie is also a freelance piano accompanist. She was an official accompanist and assistant faculty member at International Music Institute and Festival U.S.A. from summer 2006~2010. She worked at TUF(Iceland Young Musicians Festival) as an official piano accompanist for summer 2010, 2011 and 2013. Yoshie is also a faculty member of the Artist Music Academy since 2010. 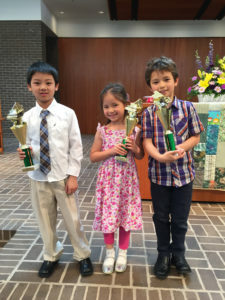 Her students have received scholarship awards from Artist Music. ★Yoshie is a BMTA(Baltimore Music Teachers Association,Inc.) Executive Board Member since 2008 and 2nd vice president of BMTA since 2010, 1st vice president since 2018 to present. ★Active Member of MTNA(Music Teachers National Association) , MSMTA(Maryland State Music Teachers Association). ★MemberThe National Guild of Piano Teachers(Teacher Division of American College of Musicians). 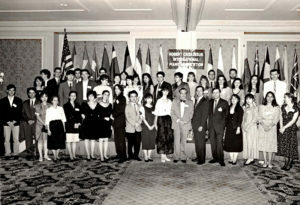 ★Was a Member of NFMC(National Federation of Music Clubs). A native of Kyoto, Japan, Yoshie Kubota has lived in New York City since 1988. Now she lives in Baltimore,MD since 2006. 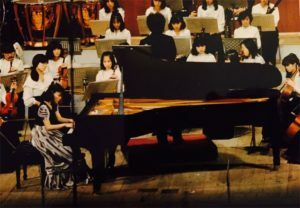 Ms. Kubota has appeared as a soloist with orchestra in Japan under the batton of well known conductor, Mr. Yutaka Sado. She has appeared on Radio FM Osaka, FM Kochi and performed in major cities in Japan, including Tokyo, Osaka, Nagoya, Chiba, Kochi and Kyoto. In the United States she has performed in CA, OH, DC, CT, WV, PA, NJ, MD, NY include at Lincoln Center. Yoshie was invited to perform at Hilary Hahn’s Benefit Concert for Japan Earthquake and Tsunami Relief fund as a guest performer with her daughter violinist Yuka Kubota, March 2011. 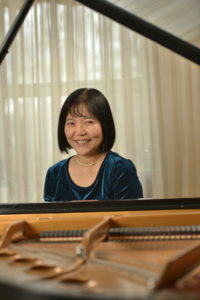 Yoshie has received a Master of Music degree in piano performance from the Mannes College of Music (New York City) in 1990. Studied with Grant Johannessen. 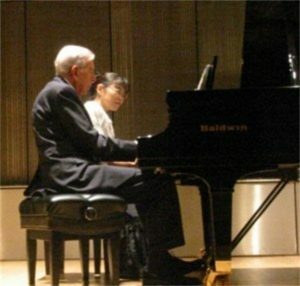 Yoshie appeared at Bruno Walter Auditorium at Lincoln Center as a special guest artist and performed with Grant Johannesen on October 23, 2003. 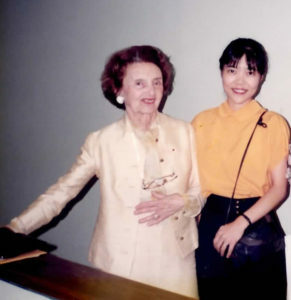 She also attended the Kusatsu International Summer Music Academy and Festival(Japan) studied with Edith Picht-Axenfeld, Salzburg Mozarteum Summer Music Academy and Festival(Austria) where she met Grant Johannesen in 1987 and 1988 and Nice Summer Music Academy(France). 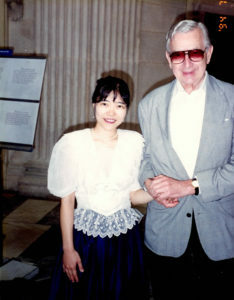 in 1987 studied with Jaques Rouvier. Her main teachers include Grant Johannesen, Toshiyuki Fukumoto, Tsugiko Oshibuchi, and Katsuko Fukumoto. Yoshie is one of the founder and a member of a chamber group”Baltimore Canon”since 2006. Yoshie started to compose her original music since 2006 spring. One of her song “The Eternal Wind” is used in several films include a movie Finding Tonio by MirageProductions in 2008. She composed an official theme song titled”Memories of Tales Runner” for the Game called “Tales Runner” in 2009. Yoshie’s 1st Instrumental Album is now available on CD at CD Baby. Please check it!! ♪Yoshie’s Original Works Vol.1 at CD Baby. ♪Yoshie Kubota’s performances on YouTube.